This week Boxee released an update (version 0.9.14) to their HTPC software. The update focuses mostly on bugs and stability issues. 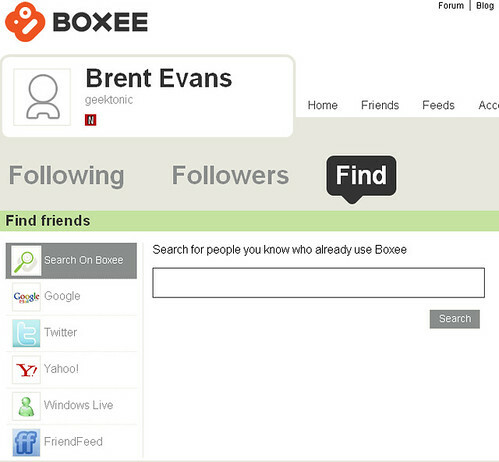 They also released a “Find Your Frieds on Boxee” page that allows you to search for other Boxee Members based on your gmail, twitter, yahoo, windows live and friendfeed friends. Adult content filter for Apps and RSS feeds - applications, RSS feeds and specific items can be marked as adult by the app developer. The user can control whether he’d like to see adult apps or not (default is hide adult content) by going to Settings > Appearance > View options. List of unresolved videos - under browse there is now an option to view unresolved videos, there you will be able to view the latest video files boxee found on your home networks, but could not determine whether they are specific TV Shows or movies. You can use the “recognize” feature to try and manually tell boxee what this video is.